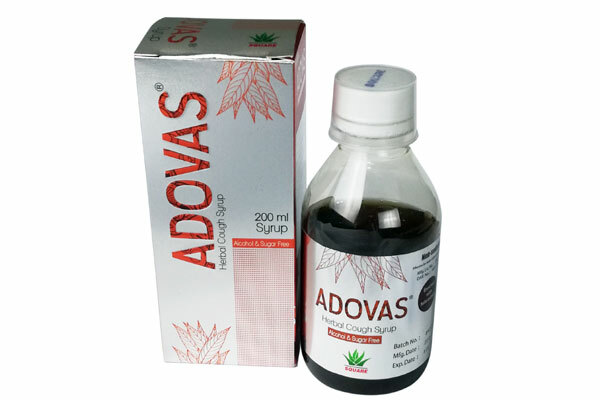 Adovas® is a sugar free, non sedating herbal cough syrup. It liquefies phlegm. 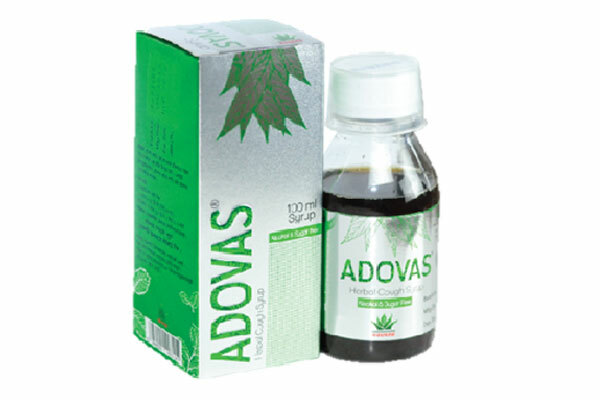 It is effective for all kinds of common cold and cough such as, dry irritable cough, allergic cough, smokers cough and cough associated with bronchitis. It soothens the throat irritation and relieves hoarseness. Adults: 3 tea spoonfuls (15 ml) 2-3 times a day. In acute cough warm water can be added for better result. Children under 12 years of age: 1-2 teaspoonful (5-10 ml) 3 times a day. 100 ml & 200ml Syrup in PET bottle.